My second prediction can be read here. This is where i was stating that incognito mode of browser will/should be made default. My third prediction can be read here. In prediction two, i was mentioning that it is just matter of time when someone creates extensions for browsers (existing), using which you will be able to have more control on advertisements (even Chrome has already started features whereby advertisements can be stopped), trackers (where the hell are you, what are you doing, what are the data you like to share and so on..). If you go through their site, they say things which are quite intriguing to give it a try..
We as users have full control on privacy (privacy by default). Blocks various trackers (control over what data is transferred) by default. They even say that, by doing this, you reduce data consumption. If you have unlimited data package, this is not for you, but for a guy like me who doesn’t want to have data, apart from very specific requirements (yes, i need for maps and i read blogs, nothing else, everything else is avoided from my data plan), this is quite handy because when reading over internet it can avoid data consumption (by the way, in my blog i am using Google ads…. 邏). By the way if you feel that you need to give some helping hand to some free blogs/sites, you have power to do so (or at least what i read) and you can also get rewarded if you are ready to see the ads these blogs/sites serve. Now, that is something i wrote in my blog while predicting. So, all in all, you now have a brand new browser which gives us more control. Please note, i haven’t used Brave, nor i have plan at this stage. But the point is that, its coming and we don’t have to wait a great deal for having some control on this. Its unfair that, these advertisement providers (Google Adsense) use our data package and show these to us and we as end users are not getting a cut… . Also, they track us like anything with our data and then use our data for/against to their advantage. In this due course, more than us, all the other parties are gaining with our private data…. Customer is king, but in this case, seems we are cheated… what do you say? 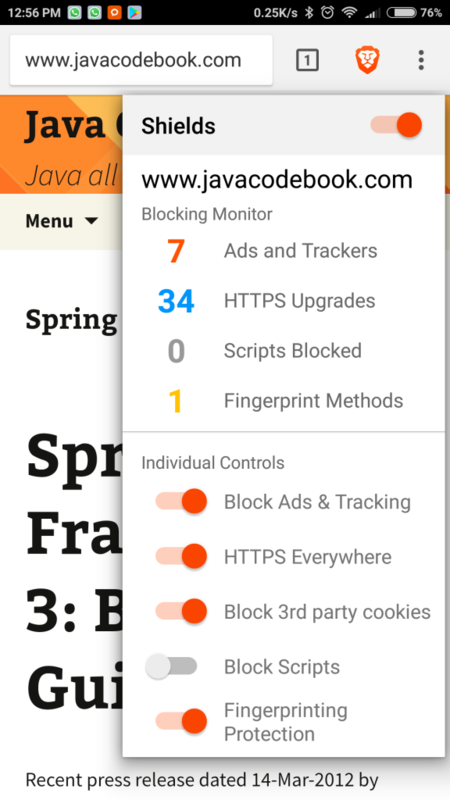 My so called innocent blogging (wordpress backed) site, when run using Brave is showing as below… 藍… be careful folks…just to be sure… i am just shows ads from Google and i use that to run my site (i have to spend close to 100$ an year to run this site with my own registred domain). Have you seen a mobile cover which allows you to cover the cameras in your mobile phone at will? 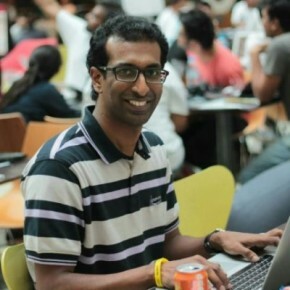 I have already seen many colleagues in my workplace already started putting stickers on the laptop camera… what they don’t realize is that, in their pocket or in their hand they have mobile phones which has dual camera having high density clear lenses capable of taking HD quality photos and videos…. Continuing my prediction, in this blog i am predicting second thing which will become a norm going forward. Just imagine someone selling something to you looking at your color, religion, looks etc. In real world if a customer is looked in these aspects and then goods sold, they can file a case against you in court and i am sure they will surely win it in front of law.. This blog is a continuation of my previous blog which can be read here. In this blog, similar to the first one, I continue my rant and more importantly I predict some aspects which will become a norm going forward. I am sure I am not the only one thinking this way…but being a blogger myself I thought I will just offload what I have in my mind…for my own reading when I become old and be proud that I once predicted and now it’s all happening . In regards to browser applications/websites, below is my prediction number one. At the moment, many sites asks for your permission or rather display an attention message which says that they are using cookies to store information. This will and should be extended to other storage mechanisms like local storage, session storage, indexed db and so on. Most importantly, this will not be a one time affair. What I mean by that is, today it just displays once and when you say yes (granted permission), they (websites) keep using that as an excuse and keeping storing things in it. Today it (websites) doesn’t state clearly as to what they are storing. Going forward I expect this will be a rule enforced which should convey to the user what is getting stored and this message need to pop up every-time when there is change to any of the properties being stored in these storage mechanisms. I am sure, it might turn into a big nuisance but some people might not mind in doing this. If the website wants you to say yes to everything and permanently allow this, they will use the tactics of flooding you with such information till you say…don’t ask me for next 1 year…also it’s important to note… every-time there is a change it need to specifically say what is getting changed and what is new and old value along with reason for storing it. There should also be an option to not allow certain data if the user doesn’t give website owners permission. That’s too much isn’t…wait this will be something which will be useful going forward. People are indeed realizing the value of privacy policies and they wouldn’t mind (according to me). I already have my second prediction lined up in my head. Soon, i will try to offload that as well in another follow-up blog post. Thanks for reading. Keep sending your views. Note: I am in no way disregarding the importance of data lake for an enterprise, in which enterprise data is aggregated and collected in one place to do various analysis real-time as well as in batch mode. My book namely “Data Lake for Enterprises” in fact advocates that. But, i am against collecting huge amount of data from your customers and then using it for their own gain with properly educating the customer (customer rights in my view). If they willingly accept for transferring their data (so called privacy related data), i am all in for that. Recently one of my colleagues came to me and said that he searched something on a popular search engine and after that everything that he did online (browsing other sites, social media etc.) seems to know this and started showing similar content what he was searching for earlier. Even though the site domain varied, other sites knew what he searched for and started showing very personalized content (yes, i do know that if you are using Adsense, Google would have already figured out what to show so that user actually clicks on these advertisements). How is this possible? Do these sites having different domains share data between each other. Isn’t that, a domain don’t share anything with other domain holds good here. Isn’t that a very basic browser security? One of my other colleague also once told me a similar incident in which she was looking for a piece of furniture. She had clear picture in mind on what she wants. She used image search in one of the popular search engine. But unfortunately she couldn’t get what she was looking for and gave up. Few hours later she was browsing through some of the famous social media sites and BOOM. These sites starts showing exactly the image she was looking for. The exact furniture piece that she was looking for. Do these sites sell personal data between each other and earn money... In both incidents it can be thought of in positive sense whereby they indeed were getting more relevant data that they are looking for. BUT…they were both skeptical and was being fearful of how much each of those sites know about you as a person. Most of these sites capture so much data from you without your knowledge. The so called behavioral data (what did you browse, when did you browse, what areas of the sites your clicked, touched even looked) and most of the data in regards to your machine (which operating system, system details etc. ), browser (which browser, version, which features are available and so on) along with data which you have given full access to without knowing much about those privacy issues like location. In near future I am sure that these big sites can be consulted to get a person’s good conduct certificate (which sites you are visiting, at what time of day you browse, while browsing at different times what are your browsing traits and so on). Also, looking at such data these big sites can predict in advance whether he/she has a criminal tendency or any other such traits which is very hard to get looking at someone on their face. For example, recently this person has started looking at some undesirable sites and also has been searching for content showing certain negative traits of a person. These data collected never get erased even after you die and can still be even used and linked to your children’s account and even predict their behaviour and other personal characteristics. If though i laugh while i write, but they could link parent and children’s account and can state some characteristics of a kid much in advance. If father showing criminal traits, the child could also show a similar traits in the future.. :). Sorry i am taking this too far. Have I started to make you think…if so, my post is a success. Let me know your views. I am going to write few more posts in the same topic and also going to predict certain things which will become a norm going forward. It’s just one storage mechanism in the browser…heard of local storage…session storage…indexed db….? For Prediction One click here. For Prediction Two click here. For Prediction Three click here. For Prediction Four click here. A thought on browser and its tracking can be read here. Disclaimer: I haven’t tried this myself. Got this weird thought when going through some of the blogs. If you have a node based microservice doing exactly just one thing and that too in the most efficient fashion. Once written such programs doesn’t have to be tweaked much and constitutes as a piece of framework based on which other components work (around it). It seems confusing, don’t worry, just think of a scenario in which you would want to write best performant Node code for your project. The C or C++ code which is written (considering all the best practices) is passed to Emscripten which converts into asm.js code. Sound Greek? LLVM – C or C++ code is converted to LLVM bytecode using Clang. Emscripten – Takes in LLVM bytecode and converts into asm.js. Let me know your thoughts using the comment section. If you feel this is quite good thought, spread the word using various social networks by clicking on appropriate icons. Would you like to read a book on Data Lake (Big Data)? 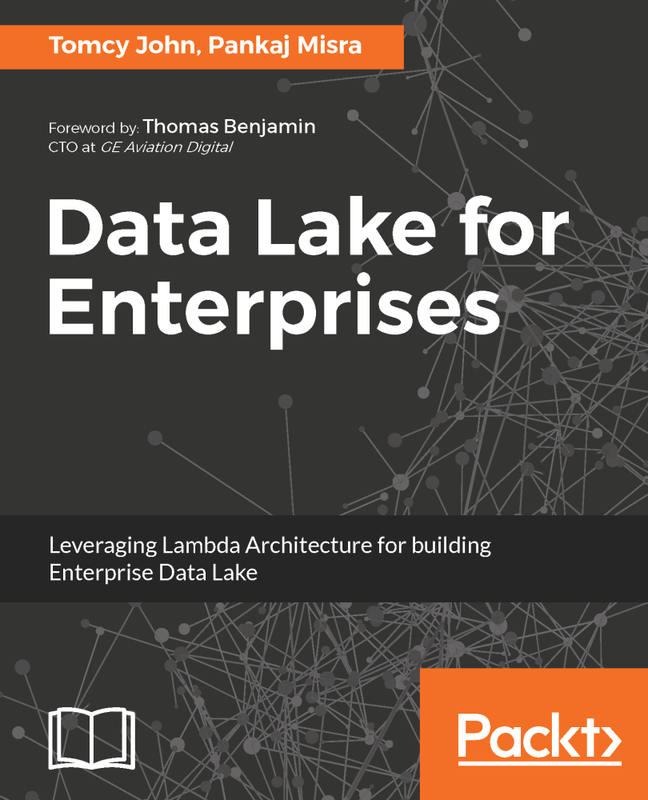 I am co-author of a book named “Data Lake for Enterprises” published by Packt Publishing. You can buy in Amazon here. If you would like to see more on what is there in this book, please visit the book’s dedicated website here.